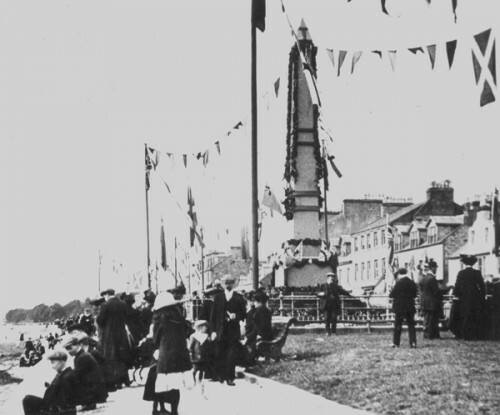 THE Comet Centenary celebrations took place in glorious weather from August 29-31 1912. According to draught and tonnage, ships of all types anchored in lines from Greenock to Helensburgh. An excerpt from Annals of Garelochside, written by W.C.Maughan in 1897, from which the above sketch is taken. 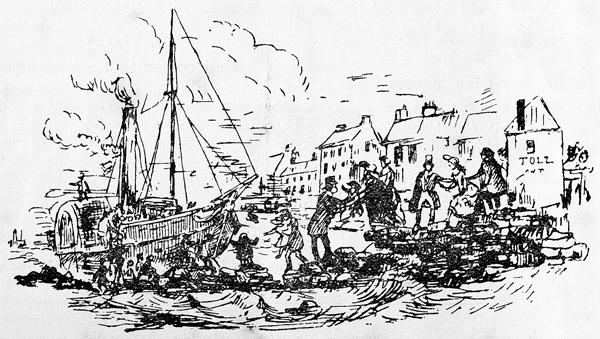 Henry Bell may almost be said to rank with George Stephenson, as a discoverer of the great capabilities of steam, as a motive power, in propelling ships through the water. 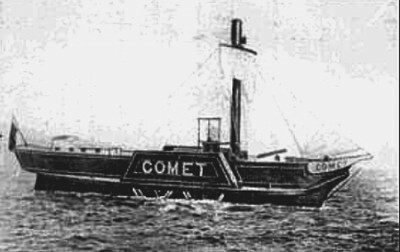 THE second Comet was built at Dumbarton in 1821, and maintained the West Highland service for four years. 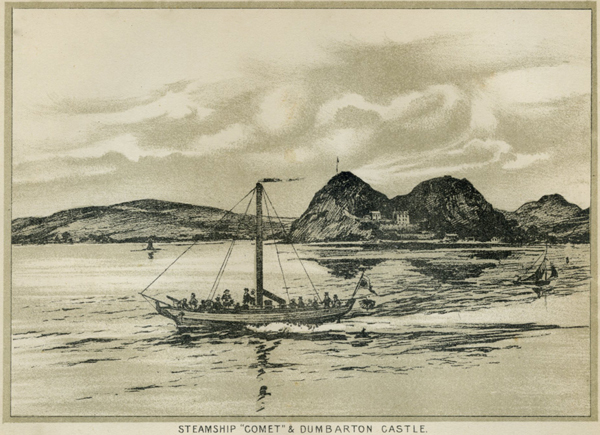 When the Caledonian Canal was opened in 1822 she extended her journey as far north as Inverness, and it was when returning from that place on the evening of October 21, 1825 that she came to an untimely and disastrous end. MANY a person has at the very start missed his true vocation in life, but has discovered it later on. 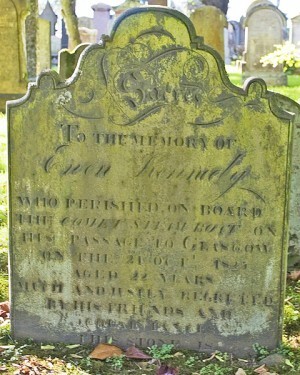 Henry Bell was one of them. At thirteen he was apprenticed to a stonemason, and not till three years afterwards did he fully make up his mind that he had chosen the wrong calling. 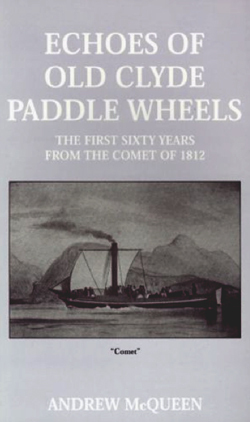 THE debate on Henry Bell's claim to fame is mentioned in a book entitled 'Echoes of Old Clyde Paddle Wheels' by Andrew McQueen, first published in 1924 although there may have been more recent editions. 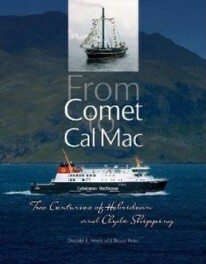 One chapter deals with the early history of steam ships, and here is what Andrew McQueen has to say: "All European steamships trace their descent from Henry Bell's Comet as their common ancestor. Nevertheless it is a mistake, though a common one, to describe Bell as the inventor of the Steamboat.